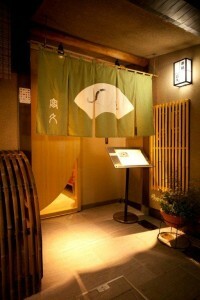 On 13th September in 1935, We started “Tomikyu” as a Japanese restaurant in Gion, Kyoto, where is full of an atmosphere of historical Japan. 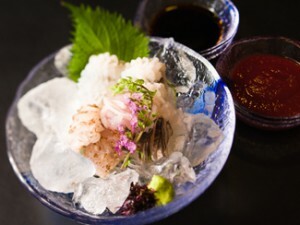 In our menu, especially, carefully selected hugu and hamo were getting popular, and we renewed as a restaurant specialized in fugu and hamo. We have some private rooms as well as counter table seat so you enjoy food in your style. You can feel Japanese omotenashi by seeing seasonal wares, pictures and flowers. 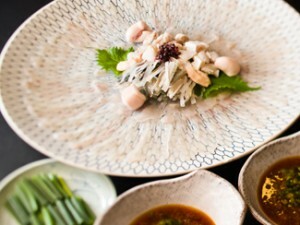 We hope you’ll enjoy food and time here in Tomikyu. We selected the best hamo in putting on healthy fat and having a heavy weight which changes by climate and temperature.